Archimedes' mathematical ability was central to his work as a great engineer. Discover how he came up with the most accurate approximation of Pi in ancient times, by bounding a circle within 96-sided polygons. Archimedes was perhaps the greatest inventor and engineer of ancient times. Through applied mathematics, he designed machinery essential to the development of civilisations. But his mathematical work focused on the most simple shape. π is the ratio of any circle's circumference, to its diameter. But although the ancient world knew the ratio existed, they did not know the value of π exactly. The Egyptians for example, described π as (4/3)4. In modern decimals, this equates to approximately 3.16. 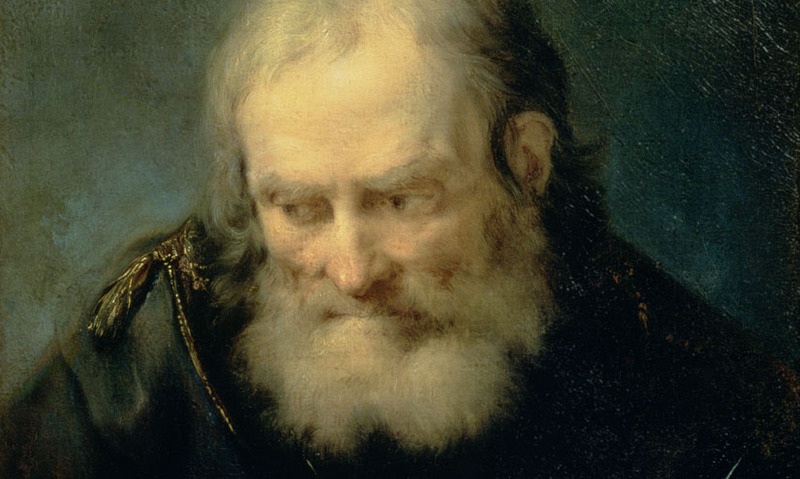 Archimedes knew it would be possible to calculate a much more accurate value for . To do this, he needed to know the area of a circle. But ironically before there was no easy way to calculate this. So Archimedes drew a circle within two straight-edged shapes. He could calculate the area of both shapes, and therefore know that the circle's area lay somewhere between the two. Increasing the number of sides of both shapes, from six to 12 and so on, gave Archimedes tight boundaries for his circle. 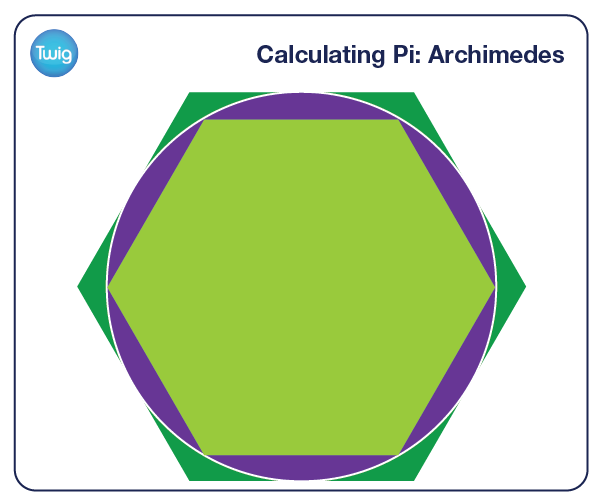 Eventually, he used 96-sided shapes to calculate the boundaries for π.
Archimedes' mean approximation of π was 3.14185, which is over 99% accurate. Mathematicians of the time believed that if Archimedes had carried on his calculations by increasing the number of sides his shapes had, he would eventually calculate an exact figure for π. But Archimedes realised then what mathematicians have now proved true. That π has an infinite decimal expansion, and so no finite end.